2013 Visionary CIO of the Year, Sal Laher of Eskom, will present on an award-winning BI implementation at the ITWeb Business Intelligence 2014 Summit. The agenda for next year's ninth annual ITWeb business intelligence (BI) event is crammed with local case studies. 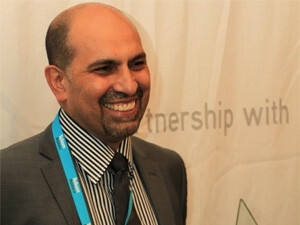 Among them is a presentation from Sal Laher, CIO at Eskom, who has just been named the 2013 Visionary CIO of the Year. He will show how the parastatal's award-winning handheld mobile solution for field engineers is delivering a significant return on investment. Teresa Budler, project business owner at MTN, will discuss the return on investment on a two-year engagement on a supply chain BI project, during her presentation: 'Taking a different view on BI in mobile telecoms at MTN'. Eugene Wessels, enterprise business reporting: business insights at SARS, will cover how his organisation has enhanced service delivery via geographical information systems. Neil Platten, BI head at STANLIB Asset Management, plans to unpack the benefits attained by creating its BI department as a business function, distinct from the traditional view of BI as an IT function. Effective BI strategy and master data management at Old Mutual will be discussed by Jason Haddock, BI head at Saratoga Software; while Alan Raubenheimer, CIO at Silica, will share how his company took its data management to the next level with Sybase IQ. ITWeb's ninth annual BI summit seeks to assist BI decision-makers navigate the current changes and challenges of an ever-evolving business environment. The summit is the BI event on the South African calendar, with more than 250 delegates attending the 2013 event. Click here for more information. These and other leading BI practitioners will present alongside international keynote speakers Mark Madsen, president and founder of Third Nature, and Lawrence Corr, director of DecisionOne Consulting. Registration for the ITWeb Business Intelligence 2014 Summit, to be held in Johannesburg from 25 to 27 March, is now open. Click here to find out more and take advantage of the early-bird offer.